Today I'm sharing my top three go-to soups, perfect for those busy, lazy, cold weather days. 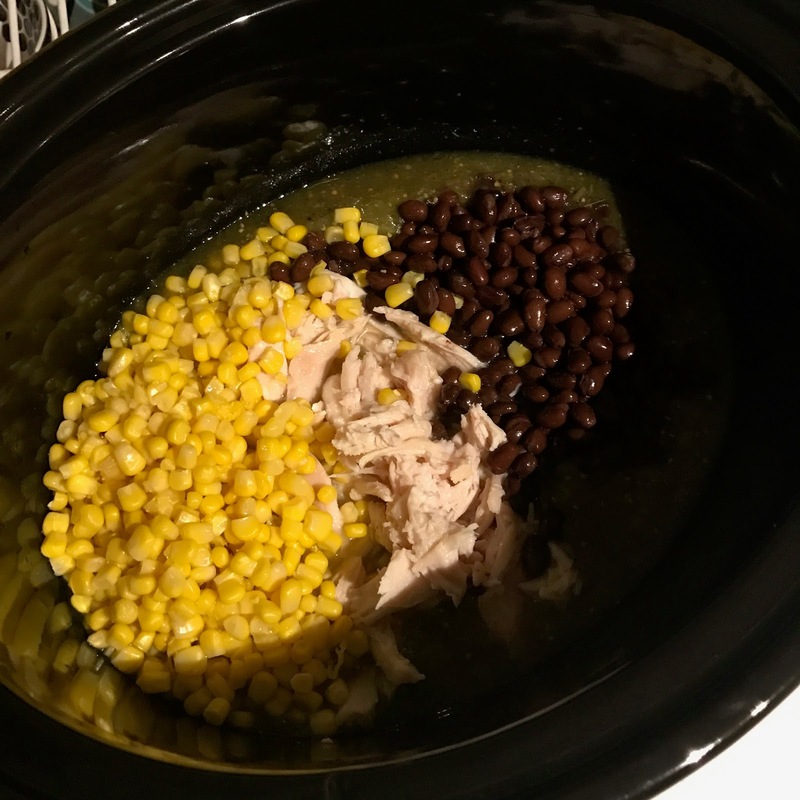 One of these has been in my crock pot every week for the last month or so. I love the minimal prep, simmer all day, style of cooking. Totally my thing! I'm a fan of all things that go in the crock pot, but these three are our current favorites. All of this goes in the crock pot on low. If you are using raw chicken breast cook at least four hours. Chicken should easily shred. I have been using rotisserie chicken lately. Super easy and so juicy! First I coat the beef in flour and brown in the skillet with a little olive oil. I'm not really trying to cook it, just browning it a little. This part isn't necessary but I think it makes a difference. Then, I dump all ingredients into the crock pot and mix. I season with minced garlic, onion powder, salt, and pepper. I never measure when I season. My husband says I'm a serial "under seasoner" so I always just go with my instinct and then add a little more for good measure. Cook on low for 5-6 hours. The longer you can let it cook, the more tender the meat will be. Brown your meat on the stove with a little bit of the chili seasoning. Chop the bell pepper and the onion and toss them in. Pour in the beans. 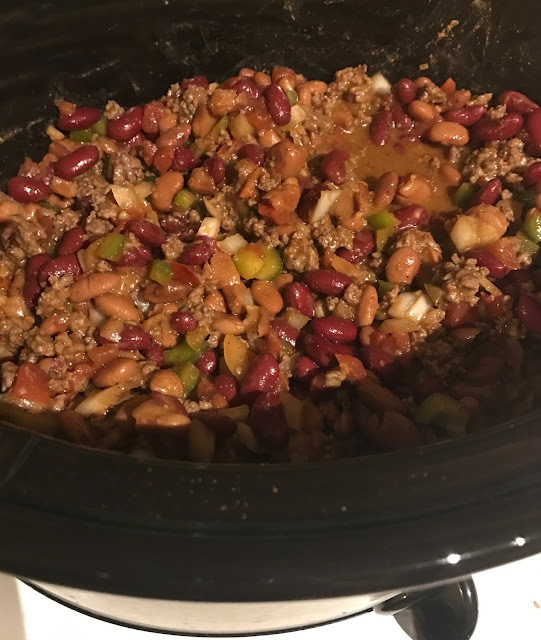 I rinse and drain the kidney beans but I do not drain the cans of chili beans! Then top with the rest of the chili seasoning. I also add minced garlic, onion powder, cumin, salt, and pepper. I cook this on low for two or three hours because the longer it cooks the more the flavors all come together, but really you could eat it much sooner since the meat is already cooked before going in the crock pot. There you have it, three super easy soups. All of these take minimal time to prep, and are so good. I love that I can throw everything in right when I get home and it cooks while I do a little cleaning, hit the gym, or do a little work here on my blog. Plus the house always smells amazing when I cook with my crock pot! I have about a million other recipes to share, and more to try myself, but with this cold weather we keep coming back to these three hearty soups. I hope you try them and they become a staple in your kitchen this winter! Enjoy! Will you try any of these soups? 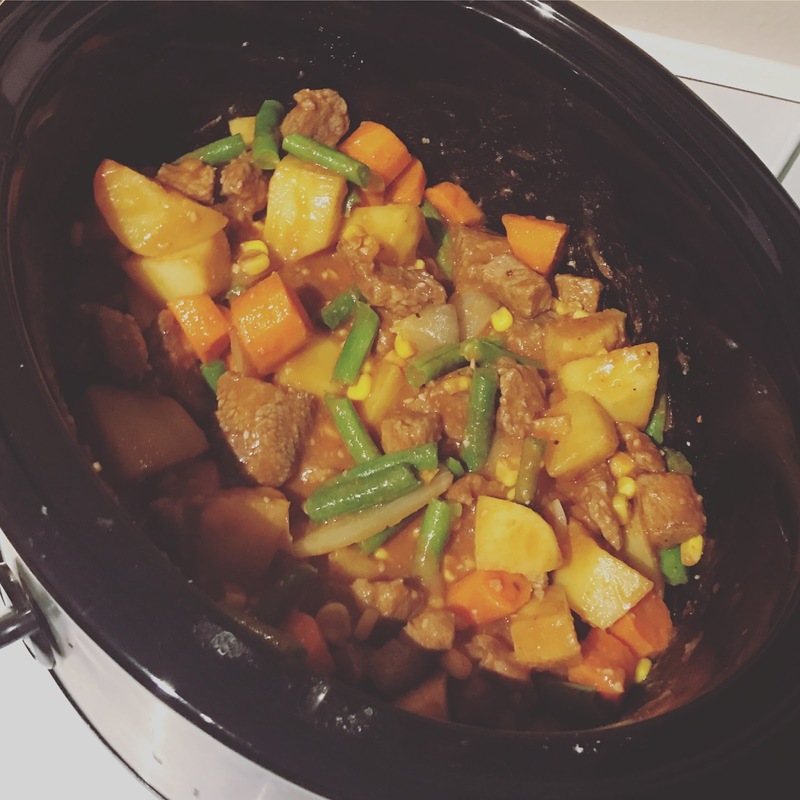 Do you love crock pot cooking too!? What's your fav easy recipe! ?